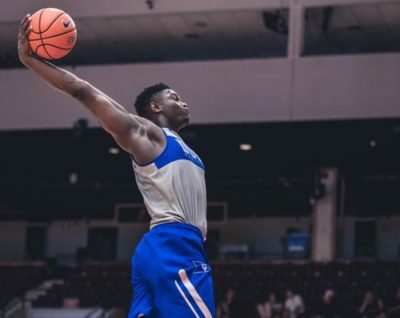 While preparing for an exhibition game in Toronto, Canada, Five-Star freshman, Zion Williamson, wanted to show off his athleticism with a crazy dunk, from the free-throw line. Williamson, listed as 6’7, and a massive 285-pounds, is considered to be the most athletic player on the team; umm, damn. Check out the Zion Williamson flying through the air below.